Here she is again, in another excellent outfit. Clemence is in the papers and magazines a lot at the moment, which must be due to her upcoming appearance in the BBC's adaptation of Sebastian Faulk's Birdsong. 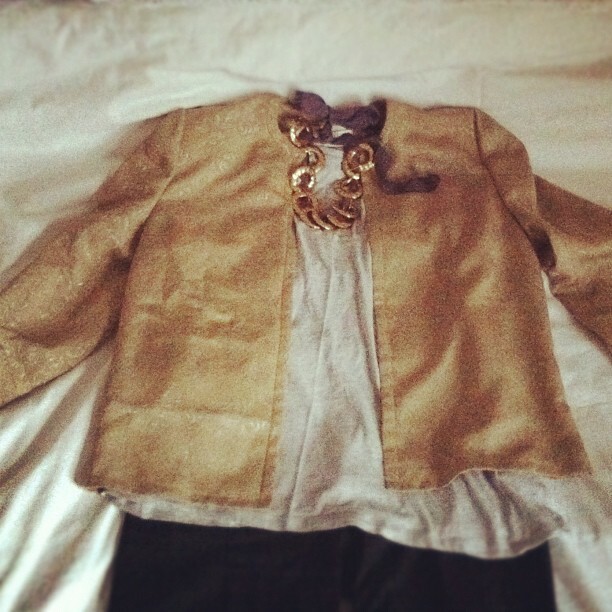 I recently found this gold jacket in a charity shop, and had been struggling with what to wear it with. Struggle no more though, I'm sorted - I'm going to wear it with my grey marl t-shirt from H&M, black skinny trousers, chunky necklace and my black ankle boots. 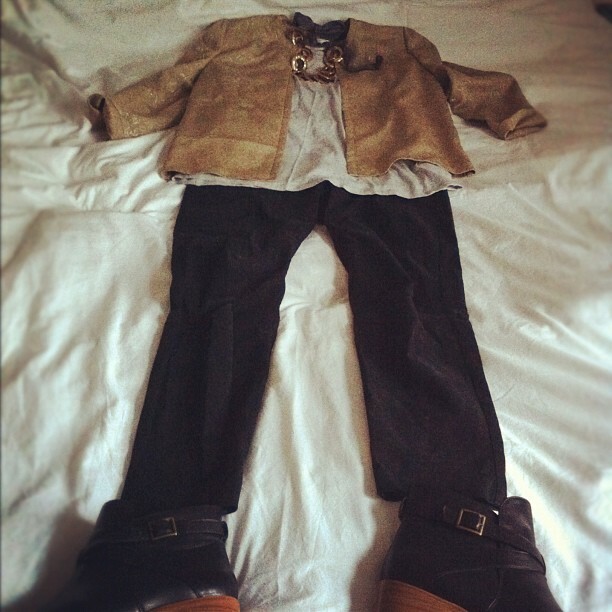 This outfit looks better with my grey leather knee-high boots that the black flat ones, I reckon.. Going for, going for GOLD.